Did you know that there is a correct way to check your blood pressure? Health officials and individuals are encouraged to pay attention to how blood pressure is checked. 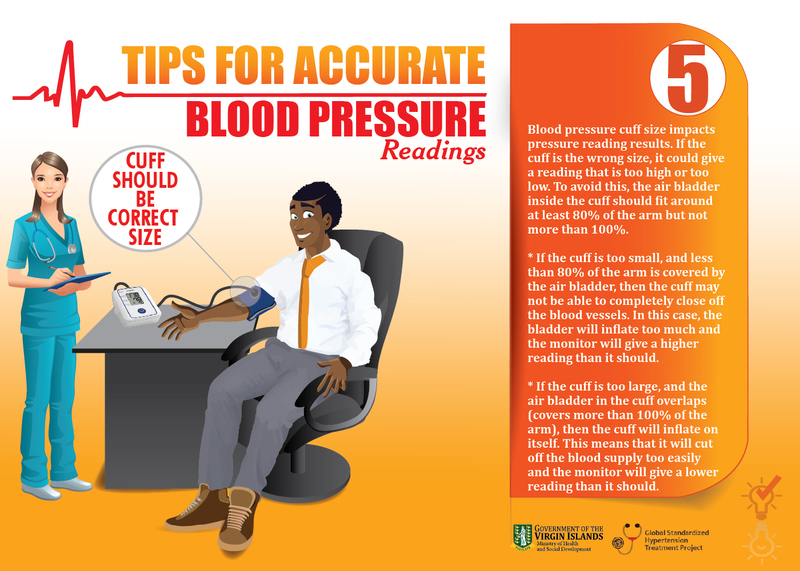 Blood pressure cuff size impacts pressure reading results. If the cuff is the wrong size it could give a reading that is too high or too low. Remember uncontrolled blood pressure increases risks of serious health problems including renal failure, heart attack and stroke.